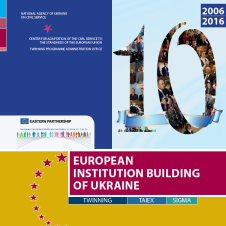 The Association Agreement between the European Union and the European Atomic Energy Community and their Member States, of the one part, and Ukraine, of the other part (hereinafter – Association Agreement between Ukraine and the EU), concluded on June 27 and ratified on September 16, 2014, provides for large-scale institutional and structural reforms in line with the established framework. The consistent and effective implementation of the Association Agreement between Ukraine and the EU should create a solid basis for the further sustainable political and economic development of our country, to become the basis for a strategy for reforming all key areas of public administration and the implementation of European standards in order to improve the quality of life of the population. 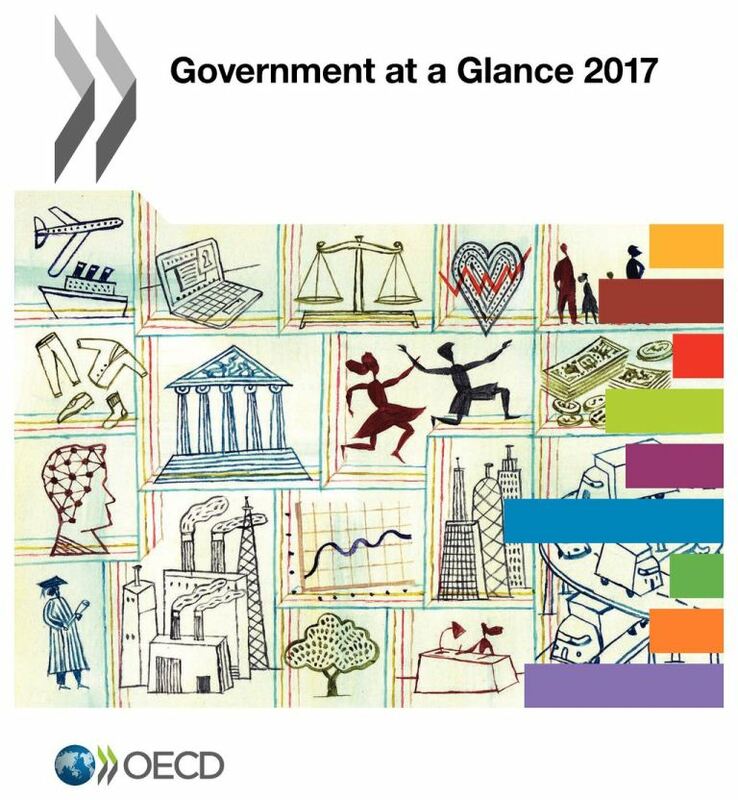 Effective public administration involves the ability of the state to provide administrative services and ensure its economic growth and competitiveness on the international scene. 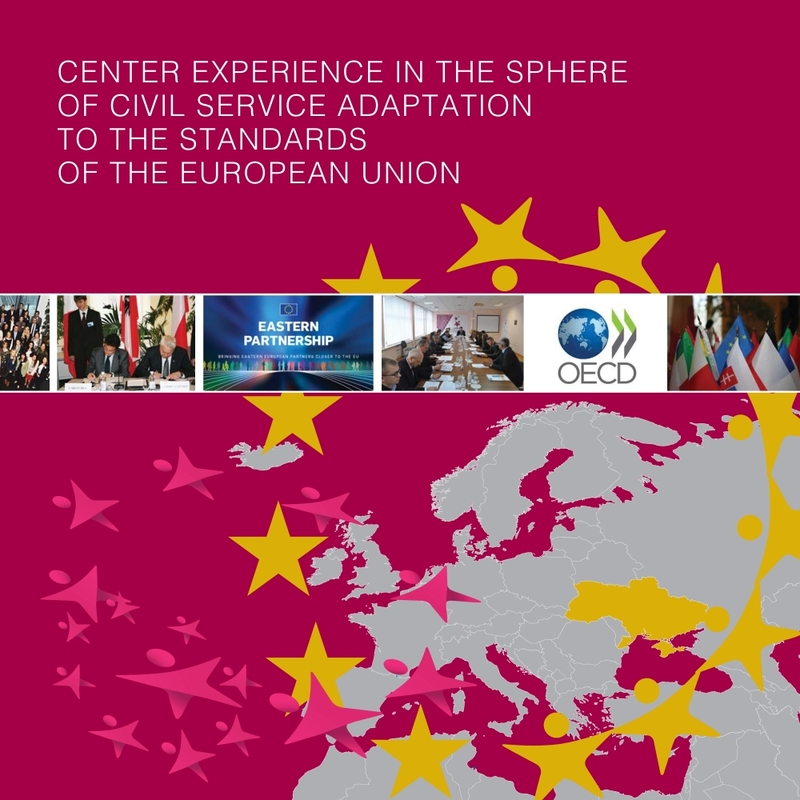 The reform of the civil service largely determines the success and other reforms, the results of which directly depend on the quality of managerial decisions of state bodies. The obligation to reform public administration, in particular the civil service, as soon as possible, is established in the Strategy for Sustainable Development “Ukraine – 2020” and the Program of Action of the Cabinet of Ministers of Ukraine. Legislative consolidation of the new principles of the civil service, harmonized with European principles, is one of the tasks of the Action plan to implement the Association Agreement between Ukraine and the EU, approved by the Decree of the Cabinet of Ministers of Ukraine of October 25, 2017 No. 1106, and Legislative Plan of Reforms in Ukraine, approved by the Resolution of the Verkhovna Rada of Ukraine of June 4, 2015 No. 509-VIII. staffing of the decentralization process. To fulfill the obligations set out in the Association Agreement between Ukraine and the EU, and according to the results of the assessment of state of play in public administration system of Ukraine, which was held in 2018 by the SIGMA program experts, and audit of the comprehensive reform of public administration, which was held by the Accounting Chamber of Ukraine, and taking into account consultations with the interested parties, and in cooperation with the state authorities, including with the NAUCS, and with the participation of the EU Delegation in Ukraine, international experts and representatives of the public, the Cabinet of Ministers of Ukraine by the Resolution of December 18, 2018, No. 1102-r approved a new version of the Strategy of the Reform of Public Administration of Ukraine for the period until 2021 and the Action plan for its implementation for 2019-2021, which were approved by the Cabinet of Ministers of Ukraine from June 24, 2016, No. 474, was approved by the Resolution of the Cabinet of Ministers of Ukraine of June 24, 2016, No. 474-r. The said Strategy meets the European standards of good governance and the SIGMA Program’s European principles of public administration. Also, with the participation of the EU experts, the SIGMA program and representatives of the public was provided with the development and adoption of the Law of Ukraine “On Civil Service” of December 10, 2015, No. 889-VIII, which entered into force on May 1, 2016. The issues of remuneration of civil servants. At the same time, it is necessary to introduce technical amendments to the Law of Ukraine “On Civil Service” of December 10, 2015, No. 889-VIII (hereinafter – the Law). In this regard, the NAUCS, in cooperation with the public, representatives of stakeholders, international and domestic experts, has developed a draft Law of Ukraine "On Amendments to the Law of Ukraine" On Civil Service” to clarify certain provisions of the Law. The said draft law was approved by the Government on March 22, 2017, and submitted to the Verkhovna Rada of Ukraine on March 23, 2017 (Reg. No. 6227). Also, in June 2016, was formed and started to work the Commission on Senior Civil Service, which includes 12 members, representatives of all branches of power of Ukraine, and also 4 representatives of public associations, scientific institutions and educational institutions. For the proper and transparent organization of the competitive selection process for civil service positions, a web-portal of public service vacancies https://career.gov.ua/ is created and functioning. Information on the announcement a competition for vacant civil service positions and the results of the conducted competitions is also available on the website http://www.nads.gov.ua/. At the same time, in order to ensure the definition of the optimal number of civil servants, taking into account the functions and organizational structure of state bodies, optimizing the number of employees of the state bodies, the NAUCS in 2016, in the test mode, launched an automated data collection portal on the quantitative composition of civil servants – ksds.nads.gov.ua. The online data collection system, developed for the first time in Ukraine, operates almost in real time and covers 898 state agencies (129 state bodies and 769 judiciary authorities). The development and implementation was carried out by the NAUCS with the help of iGov teams and the Project Office of the National Council for Reforms, without the cost of public funds. Also, by the order of the NAUCS of October 21, 2016, No. 223 was approved the reporting form of the QCCS (quarterly) “Report on the quantitative composition of civil servants” and the Instruction on its filling (registered by the Ministry of Justice of Ukraine on November 14, 2016, No. 1477/29607). Definition of the actual number of civil servants is conducted on a quarterly basis (QCCS system). In addition, in order to ensure efficient human resources management in the field of civil service, control over employment in the civil service, promoting transparency of staff costs with the support of the World Bank was developed the Concept for implementation of the human resources management information system in the state bodies and the plan of measures for its implementation, which was approved by the Resolution of the Cabinet of Ministers of Ukraine of December 01, 2017 No. 844-r. The Concept defines the directions, mechanism and timing of implementation of the Human Resources Management Information System (HRMIS) in state bodies. In order to ensure the effective implementation of the civil service reform, discussion of problems and challenges in its implementation, the dissemination of best practices in the personnel management in state bodies and the development of practical recommendations, the Council for the Civil Service Human Resources Management of under the NAUCS was established (Order of the NAUCS of December 07, 2017 No. 248), which will include the heads of the personnel management units of central executive bodies. In addition, in order to achieve the objectives of the Strategy, the NAUCS developed the Concept of Creation of a Team of Specialists on Reforms, approved by the Resolution of the Cabinet of Ministers of Ukraine of November 11, 2016 No. 905-r. In order to ensure coherence, efficiency and effectiveness of the implementation of the state policy in the respective areas, the preparation and implementation of specialists in national reforms, ensuring accountability and transparency of the state executive bodies, as well as for the purpose of implementation in the work of the state bodies of modern tools of operational monitoring of the number of employees of state bodies and their wage costs the Strategy provides for a carrying out a functional review in ministries and others state executive bodies. In accordance with the plan of measures for implementation of the Strategy in 10 ministries established by the Cabinet of Ministers of Ukraine as pilot, by the working groups, headed by their leaders and / or state secretaries, formed by the Cabinet of Ministers of Ukraine, a functional review was conducted. According to the results of functional review, the determined missions, goals and areas of government policy in these ministries, relevant directorates responsible for one / several areas of government policy were created. Conducting a functional survey of ministries identified by the Cabinet of Ministers of Ukraine as pilot, helped optimize the internal organizational structure of ministries, by separating in their apparatus the structural units responsible for the quality of state policy formation, strategic planning and coordination of the implementation of the relevant policy (directorates), and facilitated the recruitment of (updated) staff to the positions of reform specialists. In addition, the NAUCS developed the Concept of Optimization of the Central Executive Bodies System, approved by the Resolution of the Cabinet of Ministers of Ukraine of December 27, 2017 No. 1013-r (amended in accordance with the Resolution of the Cabinet of Ministers of Ukraine of December 18, 2018, № 1102-r). The Concept defines the guidelines for the organization of the ministries and other central executive bodies’ activities. Also, currently, is carrying out the harmonization of the Law of Ukraine “On Civil Service” of December 10, 2015, No. 889-VIII, and the draft Law of Ukraine “On Service in Local Self-Government Bodies” (Reg. No. 8369 dated May 17, 2018), developed by the NAUCS. First of all, this will mean that in the general issues of service in local self-government bodies will apply the same approaches as in state bodies. Improving the quality of public services. Services will be provided by competent staff. Depoliticized, stable and professional service, oriented to citizens in order to perform tasks in the interests of the state. Transparent and accountable to civil society civil service. In the end, citizens’ confidence in the bodies and state institutions will grow, which is the mainstay of the success of reforms.